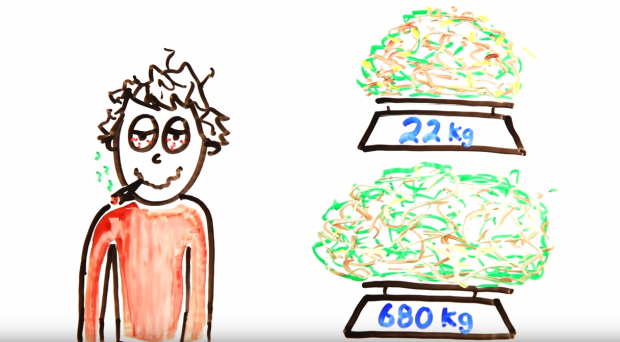 How Much Weed, Coffee, Water And Chocolate Does It Take To Kill You? Mike Skinner once sang in The Streets “the thing that I love most is trying to kill me”. And how right he is. 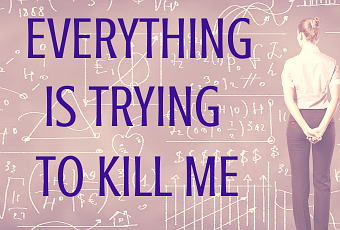 Everything is trying to kill you. 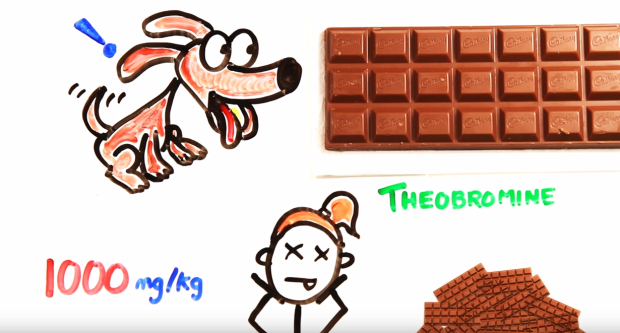 ASAPScience have released another video in the past week, this time telling us just how much of the things we like it will take to kill us. Which, to be fair, is useful information. But just how much of what, is fatal? This is genuinely pretty scary. 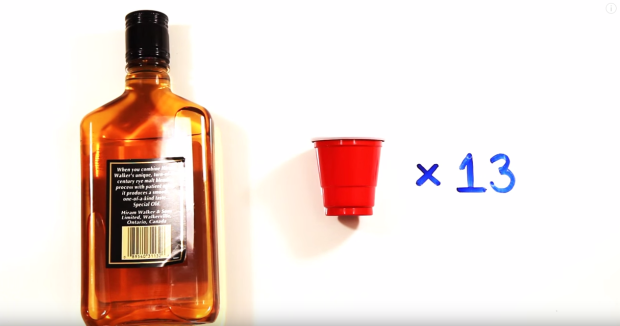 13 shots sounds like a lot, but we’ve all seen a plonker give it the big spuds at the bar and show how cool they are by doing a row of enough shots that could knock out a small rhino, or, y’know, ACTUALLY kill them. Especially when you think about student bars and how cheap 13 shots can be. Despite what that bloke at work with the dreadlocks in the pub tells you, weed CAN be dangerous. It just takes a serious amount, which you really aren’t likely to consume in one go. 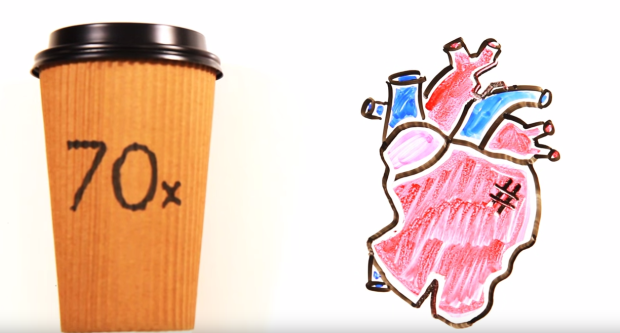 Loads of caffeine can cause heart palpitations and cardiac arrest. Bad news. Although 70 cups is 3 and hour, for 24 hours straight. Which you probably won’t. Water can be bad for you. Despite making up 60% of your body and being a necessary need, too much of it is bad for you. 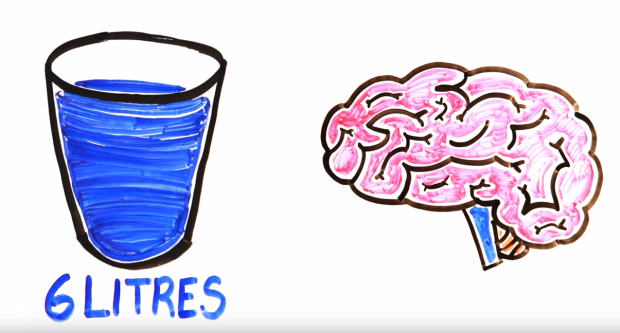 It’s recommended that we drink 2 litres a day, but if we drink three times that amount, it can cause the brain to swell, leading to comas and seizures. Sleep is really important, obviously. 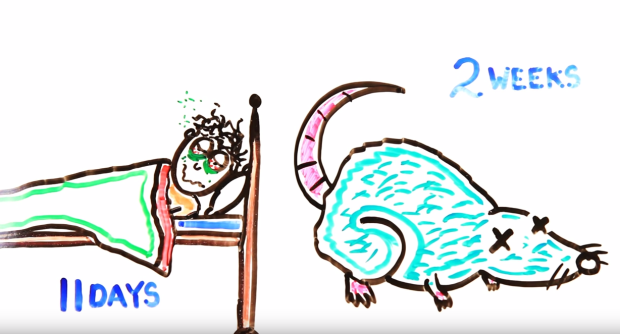 While some of us don’t get our 8 hours a night, it can be dangerous to go too long. The longest known with no sleep was a bloke that went 11 days. I love a sleep, just usually in the morning, when I need to get up. 85 bars in one sitting is quite a challenge. If you can eat that much without puking yourself inside out, you’re not human anyway. Apparently, being too tall puts stress on you circulatory system. I never knew that. 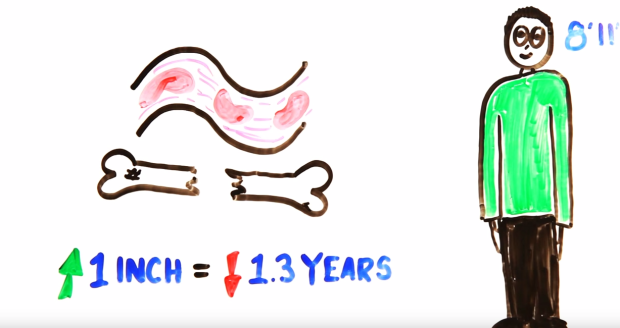 Supposedly, every inch over 5ft takes 1.3 years off your life. Finally, being short is paying off. In case you weren’t aware, having your head underwater for too long is a bad idea. WHY DID I NOT KNOW THIS?! Did you know this? Why didn’t you tell me? 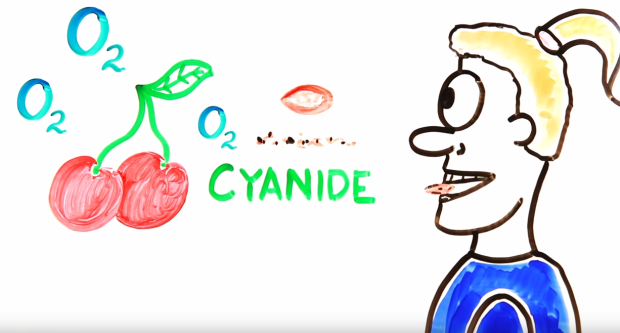 Apparently biting into a cherry pit can kill you because it releases cyanide. How am I only just learning this now?! It turns out you can definitely have too much of a good thing.